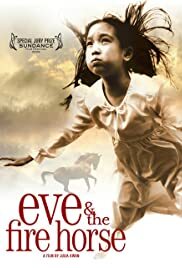 Julia Kwan's "Eve & the Fire Horse" is a sweet, gentle film in which a 9-year-old girl, Eve (Phoebe Kut), recalls her childhood when her sister, Karena (Hollie Lo), introduces her to Catholicism. It's a typical coming-of-age film with an Asian bent, nonetheless. It's buoyed by two fine performances by Kut and Lo. There's nothing unexpected or unpredictable about it, but it delves into a culture that is alien to most Americans. And it deals very well with the clash of cultures - or, in this case, religions - and the confusion that arises as these young kids try to deal with life. Writer-director Kwan takes her time to set up her story and then unravel it. We get to know these characters and appreciate their motivations. The humor is nothing outrageous; this is the sort of film that brings a smile to one's face rather than, say, a loud guffaw or two. What works in the film is the relationship between the two sisters. From the opening scene of them on the wall, we believe these two are not only related, but very close. There are some fine supporting performances. Vivian Wu is brilliantly understated as the children's mother, and Chit Chan Man Lester brings the right amount of pathos and humor to his role as their father. One of the film's failings is a rather obvious narration. I'm not averse to voice-over narrations in films such as this. 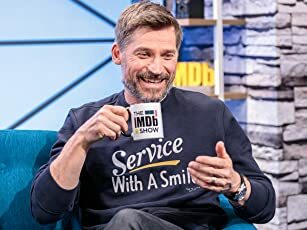 But many of the moments in the narration could have been shown and not told. "Eve & the Fire Horse" is a pleasant film, one that could've been better, but works nonetheless. Its charm comes from its two young actors who seem so natural that we're drawn into their colorful worlds and imagination. It says a lot about families; it also says a lot about religion. I'm not sure if Kwan endorses proselytizing, but the film does seem to make a statement about the commonality among religions. And that's certainly not a bad thing. It's a sweet, tender film that makes for a nice afternoon at the movies.